If you happened to be an inhabitant of the demi-monde in late-Georgian London, or just a common or garden thrill-seeker tired of booze and tobacco, there were certainly opportunities to achieve an altered state by engaging in a special kind of ‘frolic’, to use the parlance of the times. 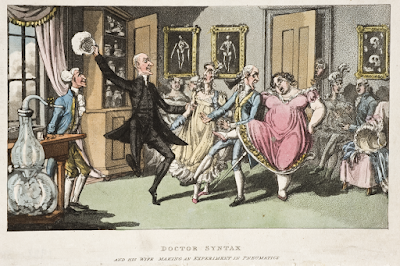 It was the Victorian age that really experienced a rush of new chemical syntheses and psychotropic plant discoveries, but if you were in search of assisted merriment in the 18th century, that pleasure-seeking age could oblige. There was always good old reliable laundanum, of course, which had been around since the late 17th century, when the physician Thomas Sydenham had praised the utility of opium. (Sydenham had also experimented with its injection by means of a hollow quill.) If you asked a physician for a dose to ease melancholy, insomnia or chronic pain, opium dissolved in alcohol was the usual prescription. The addictive nature of ‘cordials’ heavily laced with opiates was well known, but that knowledge caused no harm to their popularity. 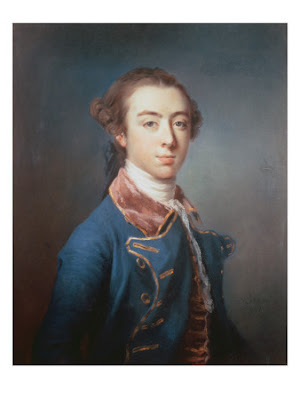 One such casualty was the Honourable Topham Beauclerk, friend of Dr Johnson and Horace Walpole, who died a wreck in 1780. Once considered the most brilliant conversationalist of his time, Beauclerk had ‘his temper destroyed’ by laudanum. His drug problem made his life ‘a torment to himself and all about him’, according to an observer, Major John Floyd. 400 drops of laudanum in solution each day. He died at the age of 41. 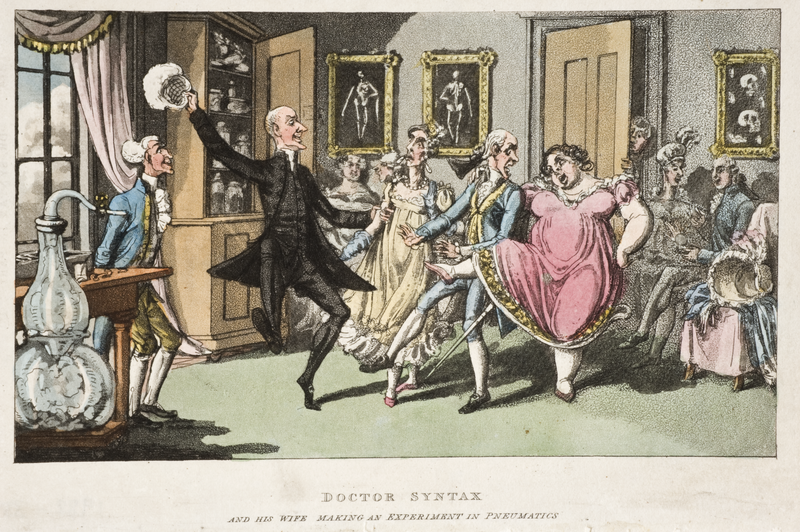 But even as Beauclerk was unravelling in the late 1770s – taking laudanum ‘in vast quantities’, Walpole remarked, and becoming ‘filthy’ in appearance – the popularity of opiates spread among the middling class. In 1770, Dr John Jones had published a bestseller titled The Mysteries of Opium Reveal’d, asserting that the drug could cure symptoms of many disorders. 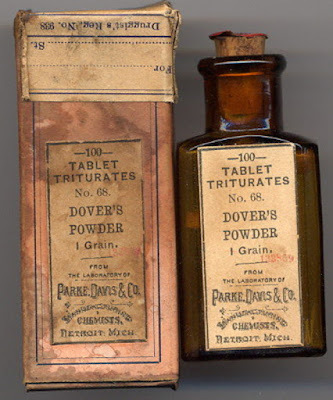 That same year a painkiller compound of opium and ipecacuanha called Dover’s Powder came on the market and proved such a runaway success it was still on sale 150 years later. (also known as Dr Quicksilver, because of his liberal use of mercury). The recipe had been patented in 1732 by a pupil of Sydenham’s called Thomas Dover. A dose of the light-brown, bitter-tasting powder was best taken in a glass of white wine posset or some other sweet syrup. It induced in the frazzled imbiber a sensation of wellbeing and a feeling of warmth that flooded through the veins. As a defence against insomnia it was much preferred to a sleeping draught of belladonna, but as John Mann reports in Turn On and Tune In, a history of drugs, ‘even the popularity of Dover’s Powder paled in contrast to Godfrey’s cordial (a mixture of opium, spices and treacle in water).' Godfrey's cordial ‘sold at the rate of several gallons per week … in Manchester and Nottingham during the eighteenth and nineteenth centuries.’ The popularity and continued use of these cordials was hardly to be wondered at. They had the same side-effects and withdrawal symptoms as heroin – Dover's and Godfrey's customers were hooked. Only after the 1860s did the medical profession begin to inquire into the risk of dependency of such opiates. But it wasn’t only opiates that snared users in the 1700s. They were nuts for liquid diethyl ether too. Marketed as a medicinal tonic named Anodyne, diethyl ether became a popular recreational drug in Britain. It was cheaper than heavily-taxed alcohol and produced short-lived dissociative effects and sensations of happiness without a hangover. The effects came on more quickly if the vapours from the liquid were inhaled rather than swallowed, but if you were a respectable lady who liked to take her drugs with an air of discretion, you might carry a small phial of ether and consume the contents with some daintiness by dripping a dose onto a spoonful of sugar – as the pharmacologist Louis Lewin reports in Phantastica, a groundbreaking survey of narcotic and stimulating drugs published in 1924. Accidental overdoses of Anodyne were not uncommon and so were deaths from the burns that occurred when etheromaniacs combined sniffing and smoking the drug – ether is highly flammable. However, the craze for the gas lasted well into the 19th century. It was not until the 1840s that ether's efficacy as an anaesthetic in surgical procedures began to overtake its reputation as a vice. According to Dan Cruickshank’s The Secret History of Georgian London, marijuana was used by a notorious, and possibly apocryphal, gang of upper-class hooligans who called themselves Mohocks. Cruikshank speculates that prostitutes consumed the drug, too. But where did these stoners obtain cannabis preparations in 18th-century England? It wasn't available as a medicine. The active ingredient of cannabis had not yet been established and, unlike opiates, it had no commercial presence. Hemp had been grown in Britain for hundreds of years as fibre for sacking and cordage, but it certainly wasn’t the psychoactive kind. The climate was all wrong for a homegrown high. The 15th-century herbalist Nicholas Culpepper listed a variety of medical uses of cannabis sativa, but he made no mention of psychotropic activity. But if you were after an exotic substance in London, the one place you or your intermediary were mostly likely to procure it was from the dark shops in the warrens around Limehouse Causeway, where anything could be bought and sold. There, Chinese and Japanese sailors congregated along with Lascars – ganja-smoking South Asian sailors who crewed East India Company ships. Even the humblest of sailors tried to bring with him personal trade goods from exotic parts to sell at home as a way of augmenting his poor wages. If aristocratic louts and jaundiced courtesans in London fancied a cannabis intoxicant, they were most likely to find it in the form of blocks of resin – as majoun or charas – brought to Britain from India and the Middle East by adventurers or mariners. 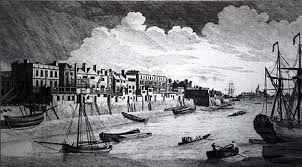 View near Limehouse Bridge, John Boydell, 1751. I will mention here that the favourite intoxicant of Covent Garden courtesans was ratafia, a sweet liqueur flavoured with peach or cherry kernels. They liked to relax with a slug of it in their tea after an evening’s labours – in all ignorance of the cyanogenic glycosides that lurked in the kernels. Once ingested, these glycosides broke down into prussic acid, also known as hydrogen cyanide. If you knocked back enough of it, ratafia would drive you mad before it killed you. Spanish fly – the Viagra of its day – was an aphrodisiac more properly called cantharides, made from blister-beetles. It created a rush of blood to the sexual organs and a range of unpleasant after-effects. 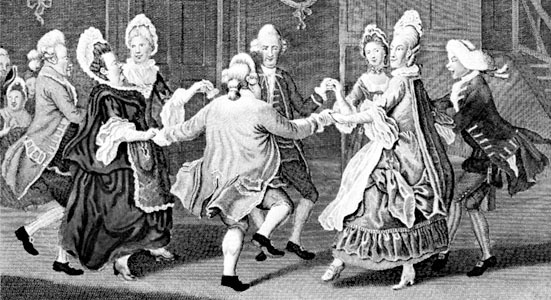 Nocturnal Revels, an account of prostitution in London, published in 1779 by an anonymous member of the Hellfire Club, notes that many gentlemen on the town, who were not in the first vigour of youth, depended on Spanish fly. The substance was usually administered in flavoured pastilles to disguise its horrible taste. It was highly toxic and could cause convulsions and coma. to make the aphrodisiac known as Spanish fly. During the 1780s another preparation came on the market that caught the attention of nocturnal revellers. Fowler's Solution, or Liquor Arsenicalis, was a compound of arsenic trioxide designed to treat infectious diseases. It was also consumed as a tonic, according to a longstanding belief in arsenic's healthful properties and began to gain a reputation as a sexual stimulant. It was said to cause an unusual excitement of the reproductive system. Overly enthusiastic consumption of Fowler’s Solution could result in cirrhosis of the liver or cancer, but that didn't stop people using it well into the 19th century, when it also became popular with women who consumed it, or employed it as a skin wash, in the belief that a hint of arsenic might freshen their complexions. From 1845 Fowler's Solution was used as a treatment for leukaemia. as a treatment for agues. was inhaled for entertainment and amusement. Dr Syntax and his wife making an experiment in Pneumatics. Very interesting and informative post! You've told me about a lot of substances I didn't know about. It all goes to show that psychoactive substances are no new thing. Dorothy Wordsworth was addicted to opiates, along with the men who are better known, Coleridge and de Quincy, so was Coleridge's daughter. Most people did, as you say, get hooked after the doctor had put them on opiates, and there's a parallel situation in the US at present. I had to take tramadol for quite a long time, at very low doses, but still had to endure withdrawal symptoms when I stopped, which was instructive for a historical novelist. Culpepper died in 1616. You mis-centuried him.